Although Coyote could not heal Fonseca, who would die from an inoperable brain tumor in December 2006, he was a rehabilitative figure nonetheless. Tales of Coyote, the trickster and transformer, span many Native geographies and cultures, including those of the Plains, the Southwest, and the Pacific Northwest. A performer with the power to act upon the world, Coyote, in the assessment of scholar Jan Stryz, “violates not only social etiquette and mores, but physical limitations and definition. Is he man or animal? … Well, both, except when he has metamorphosed into a woman.” Coyote can be a clown and a creator; he deceives, but he also teaches and explains. One who simultaneously exists in the present and safeguards the past, Coyote has a lot to say about how life should—and should not—be lived. 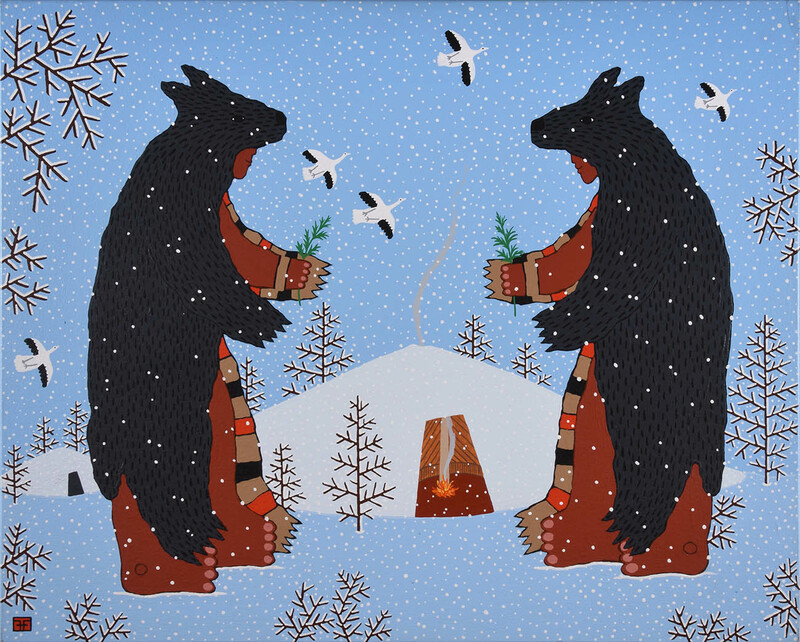 As a commentator on cultural values, Coyote is also a way for Native communities and Native artists to talk to and about the traditions they represent and the institutions that collect and display their work. 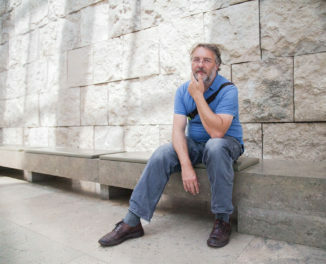 With the recent acquisition of Harry Fonseca’s estate by the Autry Museum of the American West—including over a thousand works of art, sketchbooks, and archival documents—Coyote enters a space that is at once a cultural memory bank and a post-colonial institution, one that seeks to explore the legacies of expansion and conquest in 21st-century terms. 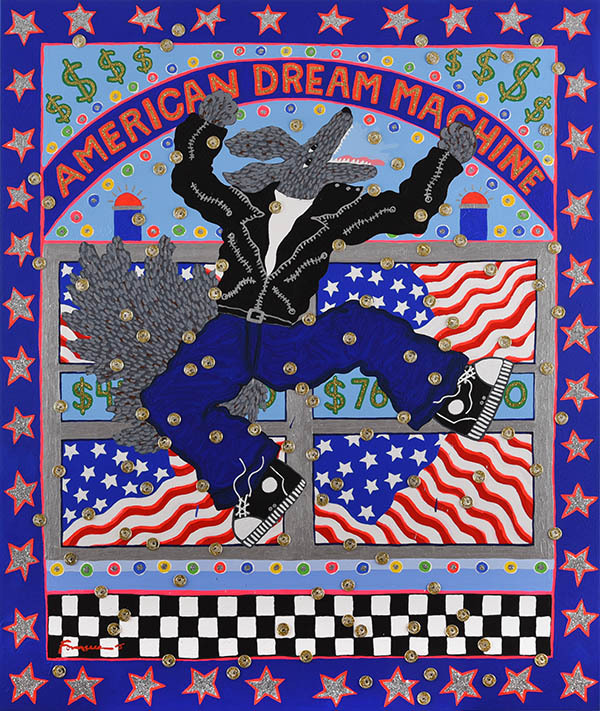 Two works, including American Dream Machine, in which Coyote is showered with gold coins, are on view now through June 2017 in the exhibition New Acquisitions Featuring the Kaufman Collection. A selection from the Discovery of Gold series will be featured in the California Continued galleries, opening this October. 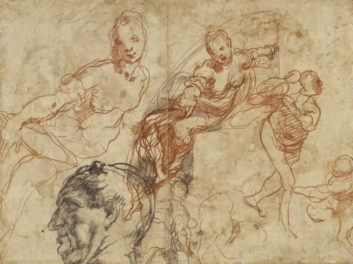 Plans for a future, more comprehensive exhibition and publication on Fonseca are also underway. The Autry represents yet another space in which Coyote can play, enlighten, advocate, and critique, bringing with his endless transformations an aesthetic that celebrates the vitality of Native culture along with its capacity for metamorphosis and appropriation—without shedding its own significant, and often difficult, histories. Take Fonseca’s breakout works of 1971 and ‘72, in which Coyote “leaves the res” for San Francisco’s Mission district. Shown first on four legs, furry and snarling against a brick wall, Coyote quickly transforms: soon he is upright, in a black leather jacket with silver chains and platform boots. And Still We Dance, 1995, Harry Fonseca. Acrylic on canvas. Museum Purchase. Autry Museum of the American West. Although Coyote embraces Western culture broadly—reappearing as Prince Siegfried in Swan Lake, as Don José in Carmen, dancing the tango, as Buffalo Bill, an Indian chief, a cowboy—there is something distinctly subversive about his ability to take on one icon, or one art form, after another. Coyote’s move from the “res” to the mission-turned-barrio-turned-counterculture destination is powerful in that it represents freedom, and his ability to act upon the shifting social, sexual, and urban geographies of 1970s America. Gift from California, circa 1979, Harry Fonseca. Acrylic on canvas. Museum Purchase. Autry Museum of the American West. In the Silence of Dusk They Began to Shed Their Skin, 1995, Harry Fonseca. Mixed media on paper. Autry Museum of the American West. 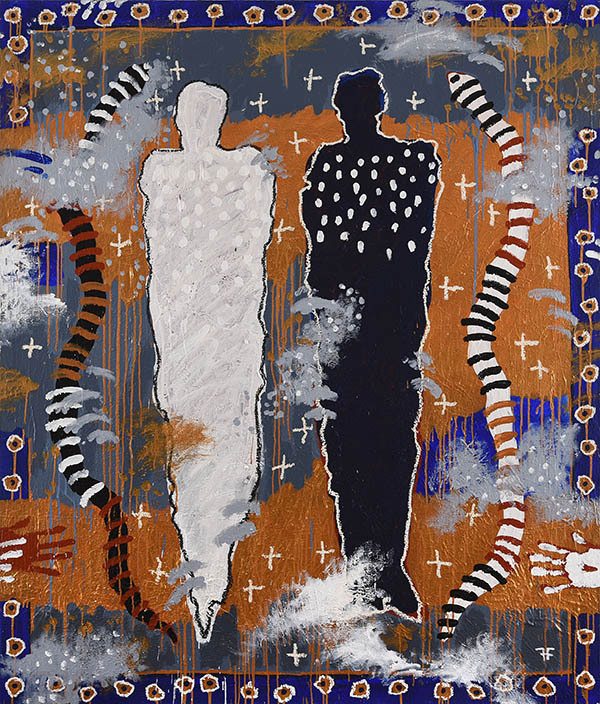 And while he traversed historically difficult terrain, Fonseca also celebrated Native aesthetics on their own terms, in works that take joy in the abstract designs of regalia, the patterns of basketry and blankets, or the deliberately ambiguous imagery of petroglyphs. Nor did he confine himself to Native themes or aesthetics. The collection also features his forays into modernism and even pure abstraction, in works composed entirely of expressionistic drips or horizontal bands of color. 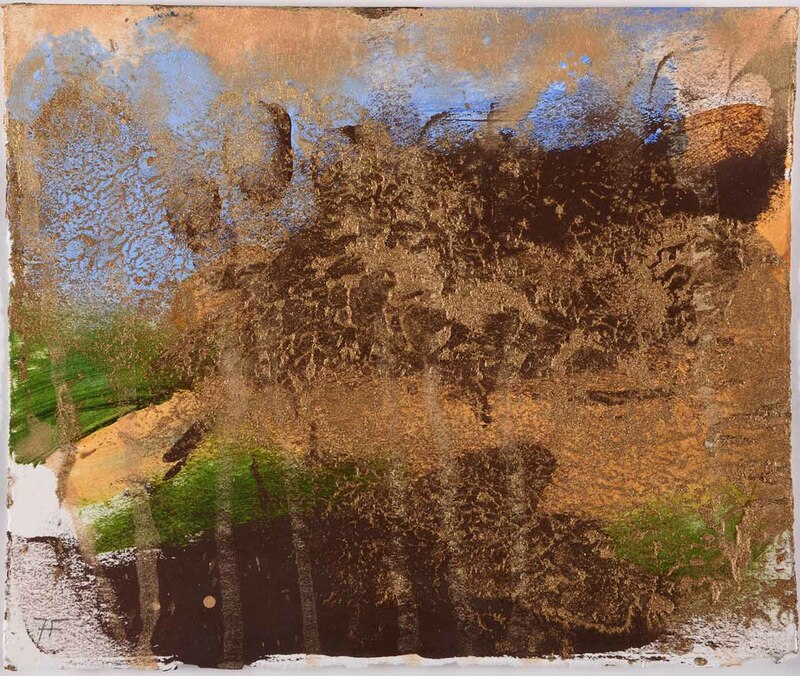 Untitled (Discovery of Gold series), circa 1997, Harry Fonseca. Mixed media on paper. Museum Purchase. Autry Museum of the American West. Whereas museums once were thought to represent “all that we have of the past,” changes in exhibition practice have given rise to an increased contextualization of cultural objects, and, more often, a seat at the table for those whose histories, traditions, and artwork is on display. No longer sealed off from cultural critique, the Autry, like all museums, can offer opportunities to interrogate the historical sources of its authority. Enter Fonseca and Coyote: together they have the power to act upon the museum and the various narratives represented within it, both on the objects on exhibit but also the viewpoints and biases embedded in exhibition practice. Exuberant and adaptable, yet never fully assimilated, the artist and his muse move from one setting to the next; they are both within and without the museum; they are everywhere and nowhere all at once. I am the chief curator and Marilyn B. and Calvin B. Gross curator of visual arts at the Autry National Center. 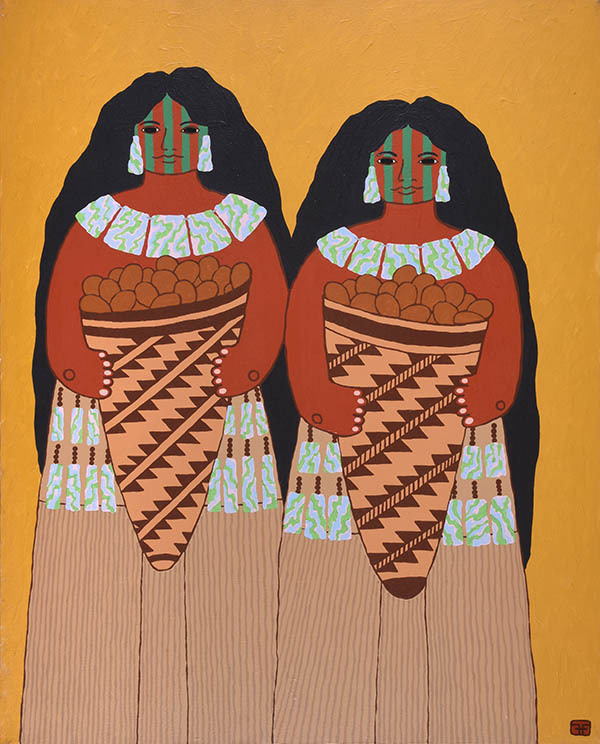 Does the Getty have any Art in its collections by Native Americans? Other than in the research library or special collections? Just curious after reading the article. Hi Ysabel, Good question! The Getty Museum does not have any artworks by Native American, aboriginal, or First Nations artists that I am able to find. 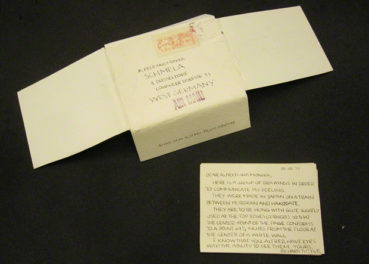 I checked with a curator in our Department of Photographs (which is the only Getty Museum collection with an emphasis on non-European art and the only collection that extends past 1900) and found that this is indeed an area of interest for our curators, though we don’t have any holdings currently. Again, thanks for commenting and reading the Iris! I RECENTLY ACQUIRED AN ORIGINAL LARGE HARRY FONSECA PAINTING TITLED ““COYOTE AND THE PAINTED CAVE”. I AM INTERESTED IN SELLING THIS PAINTING. CAN YOU DIRECT ME TO ANY GALLERIES THAT WOULD BE INTERESTED IN PURCHASING ONE OF HIS ORIGINAL PAINTINGS. I APPRECIATE YOUR HELP.